To claim this profile, please confirm you are Rachel Reyes. To follow this profile, please let us know your relationship to Rachel Reyes. RESULTLoss Girls varsity basketball @ Eleanor Roosevelt. The Bowie varsity basketball team lost Friday's away playoff game against rival school Eleanor Roosevelt (Greenbelt, MD) by a score of 51-35. Rachel's basketball stats have been updated for the win vs. High Point. RESULTWin Girls varsity basketball vs. High Point. The Bowie varsity basketball team won Friday's home conference game against High Point (Beltsville, MD) by a score of 72-7. RESULTWin Girls varsity basketball vs. Parkdale. The Bowie varsity basketball team won Tuesday's home conference game against Parkdale (Riverdale, MD) by a score of 43-38. RESULTLoss Girls varsity basketball @ Flowers. The Bowie varsity basketball team lost Monday's away conference game against Flowers (Springdale, MD) by a score of 78-51. Rachel's basketball stats have been updated for the win @ Northwestern. RESULTWin Girls varsity basketball @ Northwestern. The Bowie varsity basketball team won Thursday's away conference game against Northwestern (Hyattsville, MD) by a score of 75-16. The Bowie varsity basketball team won Tuesday's home conference game against Laurel (MD) by a score of 76-63. 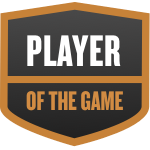 Rachel was selected the Player of the Game in the basketball game against Eleanor Roosevelt on Fri, Jan 04 2019. Congratulations to #32 Rachel Reyes for being selected the Bowie Girls Basketball Player of the Game. Rachel's basketball stats have been updated for the loss vs. Flowers. The Bowie varsity basketball team lost Monday's home conference game against Flowers (Springdale, MD) by a score of 74-51. Rachel's basketball stats have been updated for the win @ Wise. RESULTWin Girls varsity basketball @ Wise. The Bowie varsity basketball team won Friday's away conference game against Wise (Upper Marlboro, MD) by a score of 59-57. Rachel's basketball stats have been updated for the loss vs. Suitland. RESULTLoss Girls varsity basketball vs. Suitland. The Bowie varsity basketball team lost Tuesday's home conference game against Suitland (Forestville, MD) by a score of 63-60. Rachel's basketball stats have been updated for the loss @ Eleanor Roosevelt. The Bowie varsity basketball team lost Friday's away conference game against rival school Eleanor Roosevelt (Greenbelt, MD) by a score of 72-33. Rachel's basketball stats have been updated for the loss vs. Wise. RESULTLoss Girls varsity basketball vs. Wise. The Bowie varsity basketball team lost Friday's home conference game against Wise (Upper Marlboro, MD) by a score of 60-48.